The Google search engine main intention is assisted to the online finder to display most relevant web pages on the search results. The Google considers all content and internal Meta tags to optimize a website. If the websites main aim also same the proper information give to the online viewer. If the website focuses on the same principle, the Google considers ethical technique and make sure a website getting top position on the Search results. While if the website focus on Google search engine to get top position on the search results, Google considers its un-ethical SEO technique and consider spamming technique. If the website cheating the online visitors and Google search engine, the website considers as a black hat SEO technique following website and penalize the website permanently on the search engine results. The content hiding, doorway pages is common black hat SEO techniques and duplicate article submission, backlinks purchase through tools consider as spamming sites. Search Engine Optimization (SEO) is a process of optimizing a website in an ethical manner. The Google Webmaster tools give guidelines to the webmasters to be optimized a website. If the website is following the guidelines, the website gets a good position on the Search engine results. Additionally the Google search engine gives page rank as well to increasing the Page rank as well. The page rank is identification that a website getting a good impression from the Google, but the website must follow most of the website rules especially the backlinks are key factors. Here the quality of the inbound links important, but not the quantity of the backlinks, it means one high quality backlink is better than 100 spamming links. The optimization process is done within the website is called on-page SEO; while the optimization process is done out of the website is called off-page optimization process. The backlink process is considered as off-page SEO techniques. The Google considers both these two factors to give good rank in the search engine results. Usually the customer clicks on the first three websites only in the search results. If the business owner website is getting to the top of the search results, their business will get a lot of potential customers. So the business owners directly contact the best SEO Service provider in India. The website owners optimize a website by using their advanced SEO techniques. Depends on the business and client’s request the online marketing company suggest free services or paid services or both. If the website owner is looking for temporary business profits or seasonal business progress, usually suggests paid services. 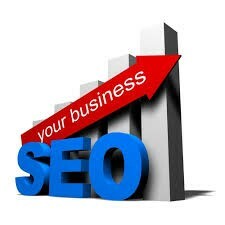 While the business owner focuses on a long term success, the website owner promotes through organic SEO or local SEO. The main intention of the business is getting a reverse on investment (ROI), to maximize the business profits the SEO services along with paid services is too important. If the website is getting negative feedback through online, it’s high impact business growth. The reverse SEO or Reputation management system is recommended for that website. About Author: My self I am Venu SEO Services provider in Hyderabad, working in the Swan technologies, provides free business assistance through online. I like to share my knowledge through online. So i am sharing through this article. Good info and I liked it too much while read. Hi there, after reading amazing article over SEO, I am as well happy to share it on my social media.